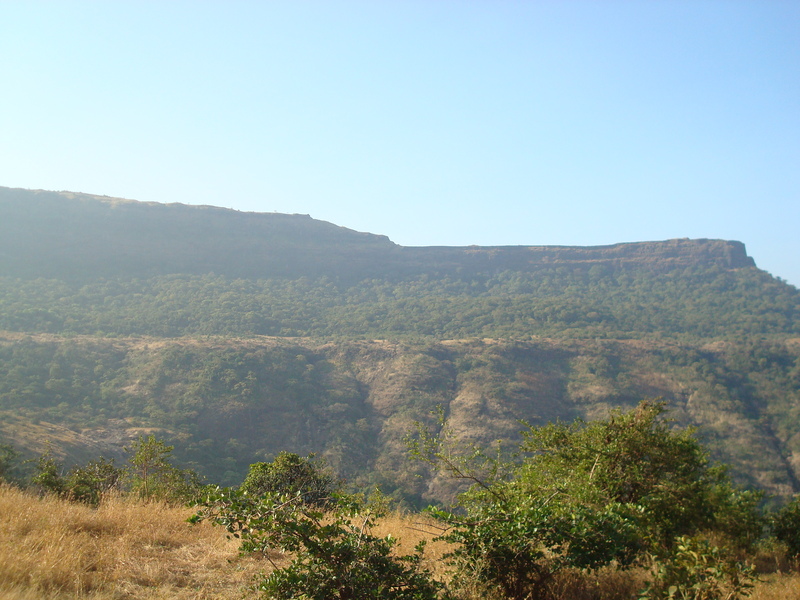 Lohagad is one of the most popular treks in Maharashtra. It is so popular that it has almost become a picnic spot. Also there is now an approach road from Lonavala that takes us right till the steps of Lohagad thus making it easy. However, the trek from the village Bhaje still retains its charm. If one if taking a vehicle then go via the Mumbai Pune Road (old highway) and at Karla Phata take a right turn towards Malavli. Cross the level crossing at Malavli and also the overbridge that takes us over the Express way to go to Bhaje Village. From Bhaje village there is a very well defined route that takes us to the Lohawadi which is around 2 hours from the base. In the monsoons the added attraction are the couple of waterfalls at the beginning of the route. The Bhaje caves (Buddhist carvings) are also located in this village. Availability: Food, water and even soft drinks are available at Lohawadi village from where the steps to reach Lohagad start. The Kande Pohe available here has always been a favourite of trekkers. The latest news is that the Archeological Survey of India (ASI) has renovated the steps leading to the fort and also constructed a door. Hence any overnight stays in the fort would now need written permission from the ASI.